The Green Revolution technologies, beginning 1970s, have remained the cornerstone of South Asian strategy for food security, nutrition, rural development, and poverty alleviation. 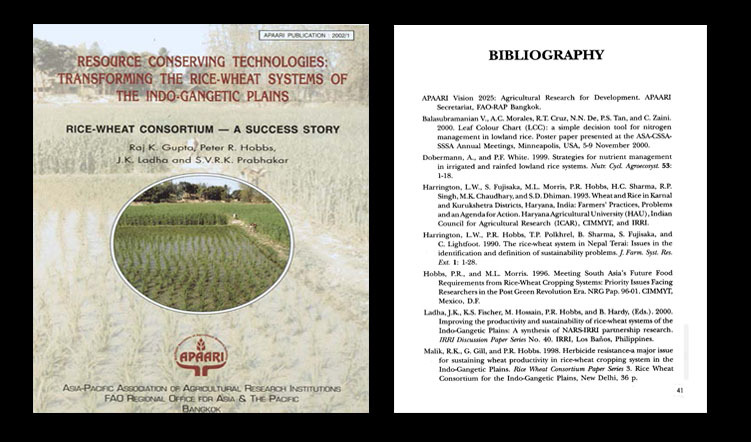 Farmers have been practicing intensive irrigatedrice-wheat (R-W) systems in the Indo-Gangetic Plains (IGP) over the past couple of decades. 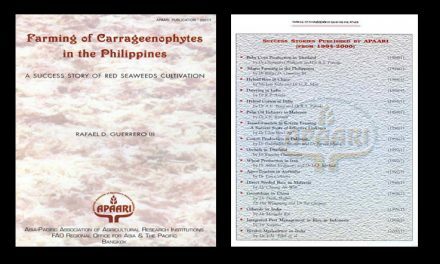 It is generally observed both by the farmers and scientists that rice-wheat systems have fatigued the natural resources with the result that they now need more inputs to attain same yields they used to obtain in earlier years. Slowed growth of productivity in agriculture, and negative impacts of intensive agriculture on environmental quality, particularly in the northwestern parts of the IGP, suggested for infusion of a complimentary set of new agricultural technologies to boost productivity growth. This points to the need to reorient our strategies for enhancing and sustaining the productivity gains of the Green Revolution era. As a part of the strategy, the paradigm shift focuses on the way agricultural ~esearch is prioritized, conducted, coordinated, managed, and knowledge-intensive technologies for establishment and management of R-W system are transferred to farmers in system approach. 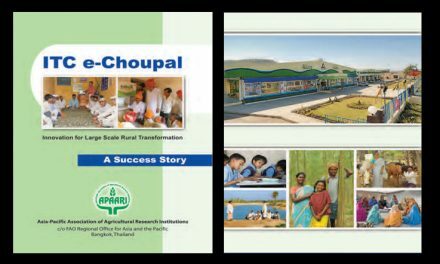 This ‘Success Story’ highlights the efforts of the Consortium partners in South Asia, which have been very successful in sustaining the Green Revolution through adoption of Resource Conserving Technologies (RCTs) .These technologies, which are sustaining and enhancing the productivity of the rice-wheat system at reduced cost of production, are backed-up by the new research findings conducted in participation with farmers. In 1994, a Consortium of South Asian NARS (Bangladesh, India, Nepal and Pakistan), International Centres (CIMMYT, CIP, ICRISAT, IRRI and IWMI), NGOs, private enterprise and farmers groups was formed to address the sustainability concerns of the rice-.wheat systems (Table 1) .This consortium, known as the Rice-W. heat Consortium for the Indo-Gangetic Plains (RWC), is convened by CIMMYT and is one of the Ecoregional Programmes of the CIGAR.